Welcome to the sixth season of The Girl Next Door Podcast! As we do every year, we're sharing our intentions and goals for the year. 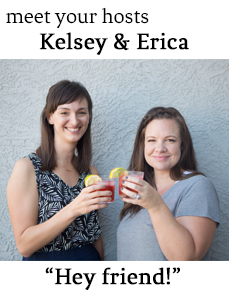 Erica's word for 2019 is LITTLE and Kelsey's is FLOURISH. Plus we record messages for our future selves to listen to at the end of the year. We snack on fortune cookies that might have telling messages for our years.